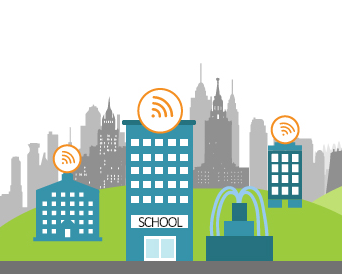 Whether students access the Wi-Fi network for social purposes or academic purposes, a stable Wi-Fi connection at educational institutions is a service that most students rely on. A stable Wi-Fi connection at educational institutions is a must-have service, especially at online-based institutions like DePaul Univerisity. Unfortunately, this is not always the case and Chicago’s DePaul University has become infamous for its unreliable Internet connection and cell phone coverage on campus which has become a frustration for many of its students who rely on a secure and fast connection to the Internet while they are on school grounds. Generally, DePaul University’s technical difficulties are not a big deal, the majority of the time these technical issues occur at random times and are usually resolved within a matter of minutes. However, Depaul’s latest outage was deemed “the most widespread wireless outage […] in recent history,” by Josh Luttig, DePaul’s Information Services (IS) Director of Infrastructure, and although the disconnect was quickly resolved, it is likely that this will continue to happen. In an effort to solve these issues, DePaul is taking action by providing wireless coverage maps of the campus and circulating a survey to get feedback from its students. For now, the slow Internet connection and lack of cell phone coverage on campus have been merely an nuisance as there can be a number of reasons causing a noisy and unstable connection in the wireless system of large-scale campus. Still, the real dilemma for DePaul students is a missed deadline or assignment as a result of a service drop, or an unexpected outage in the middle of an important payment or an online exam. Tanaza, the multi-vendor software for Wi-Fi cloud management, and its authorized partner Nauinfor deployed a fast, reliable and secure Wi-Fi network at the Lisbon School of Design. Tanaza has been chosen by private and public education organizations worldwide for its uncomparable set of features and its reliability.